Gift Certificates for Ballroom Dance Lessons - Ultimate Holiday Gift! Why give dance lessons as a gift? Who would dance lessons be a good fit for? Are the gift certificates for individuals or couples? What services can gift certificates be use for/what styles of dance? Are gift certificates good for learning a first dance? How does scheduling work? What do I need to do to redeem the certificate? At what locations can we use the gift certificate(s)? Many people can imagine gifts coming in all shapes and sizes, however being able to gift an experience to a family, friend, and/or a loved one is something that will be cherished forever. Contemporary surveys indicate a clear desire for new, exciting, and challenging experience in people. Think about the possible gifts you could receive or gift to someone: that new TV, video game systems, clothes, and/or jewelry. 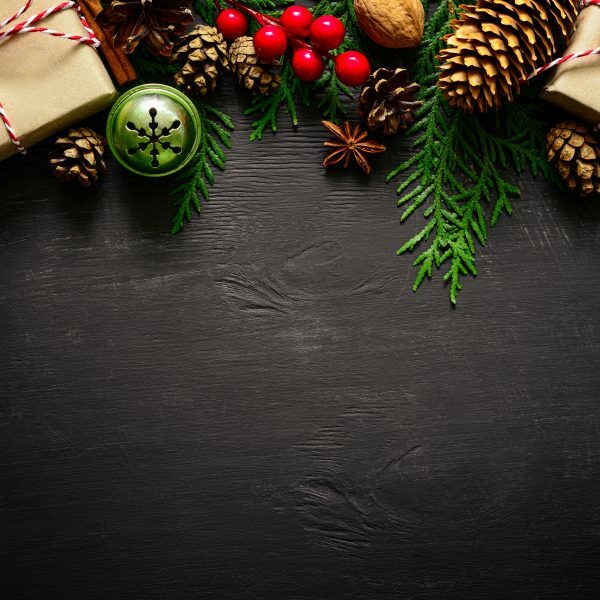 Granted all of these gifts would be pleasantly received, but the interesting thing about these gifts is that with time these items may lose their luster. Fortunately, there is a remedy to this apathetic reality: new experiences! Research has shown that people enjoy looking back at their fond memories, yet they are always yearning for the “next new thing”. You will learn that ballroom dance provides learners with a new experience at each and every lesson! 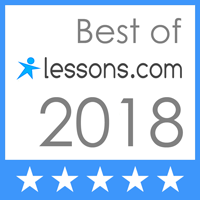 Thus buying Gift Certificates for Ballroom Dance Lessons would bring a sense of novelty and genuine enjoyment in your friend, family, loved ones, and/or your life! An instinctive answer to this question: dance lessons are great for someone who just loves to dance! But honestly, dance lessons are a wonderful gift for any close or loved one in your life. Dance lessons allow for people to not only break free from their weekly schedule, but also enable people to take a break from technology. In fact, research published by the American Psychological Association states that because of social networking we are more connected to each other than ever before, but in our unplugged lives we are more lonely and distant from each other. Something we can take away from this research is that dance lessons are a fantastic way to reconnect with the important people in your life! Here at Lake Shore Dance Academy, the most common people who take ballroom dance lessons tend to be: independent dance enthusiasts as well as dating, engaged, and married couples. Our students have shared that by taking dance lessons it provided a healthy social and physical outlet (read more about the health benefits of ballroom dancing). Other students have also shared that these dance lessons helped strengthen their bond as a couple. As well as set aside a time where the couple can focus on each other and simultaneously learn a new skill. But when all is said and done, dance lessons are a unique and perfect gift for anyone! When are the best times to gift dance lessons? Just because you feel like surprising that special someone! Who would dance lessons be great for? Someone who wants to improve their physical and mental health. Gift certificates are for either individual or couple. During your private dance lesson you receive the attention from one instructor; and the instructor would work with the single person or the couple during that lesson. The great thing about our Gift Certificates is that they apply to a single or a couple, so you can share that experience together if you like. There is no set style of dance that is tied to the gift certificate. The gift certificate recipient can choose which ever kind of ballroom dance to learn. If you’re not sure what style of dance you want to learn, our suggestion is to think about the type of music you enjoy listening to! Our instructors will help and guide you in this new and wonderful journey of dance and suggest which dances you should learn. Still not sure about what kind of dance you want to learn? Here is a short list of dances. For more examples visit our Dances We Teach Page. Don’t forget to explore the internet as well for dances that interest you! Yes! By gifting dance lessons, the newly wedded couple can avoided the dread stand and sway dance and really make their night memorable with an impressive first dance! In fact, by gifting the newly engaged couple with dance lessons, you can help ignite a life-long hobby that will enrich the couple’s lives for years to come. Our recommendation, though, would be to gift the couple with ballroom dance lessons sooner rather than later, so the couple has a reasonable amount of time to learn and prepare for their first dance. Scheduling private lessons can be done over the phone. During that conversation we would establish a schedule that works best with our teaching hours and your calendar. In order to redeem the gift certificate it must be brought to the lesson. Gift certificates can be redeemed at our locations in Wilmette and Evanston, Illinois. Gift certificates expire 12 months after the purchase date. So we strongly encourage you to purchase the gift certificate close to the time you plan to gift the ballroom dance lessons. Still not sure if Gift Certificate is a perfect Gift? Give us a call and we will answer any additional questions. 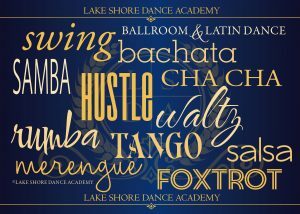 Lake Shore Dance Academy proudly serves Wilmette, Evanston, Winnetka, Kenilworth, Glencoe, Highland Park, Lake Forest, Deerfield, Libertyville, Northbrook, Mundelein, Lake Zurich and more!